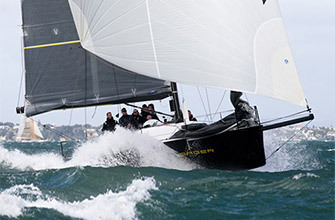 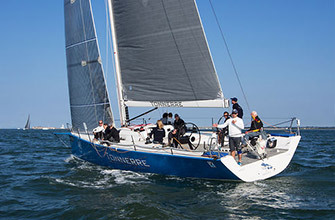 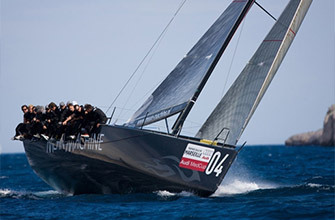 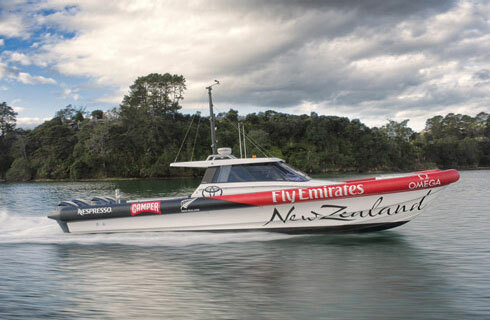 Originally designed in 2013 to accommodate the AC72s for Emirates Team New Zealand, Salthouse Boatbuilders where asked to build the Morrelli & Melvin designed 45foot, 1200hp tender/chase-boat as a high performance support vessel. 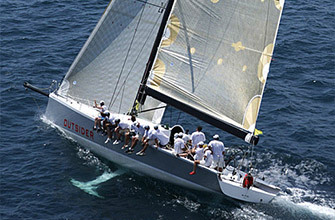 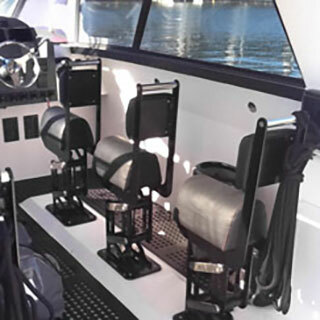 Since then the Catalyst45 has fast become recognized as an adaptable work horse, capable of more than just chasing the big cats. 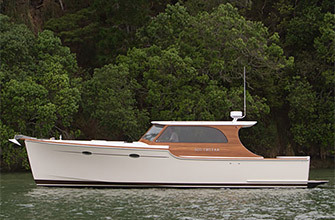 Also check out the Luxury Catalyst45 Tender developed for the more discerning requirements of Superyacht and Resort style use. 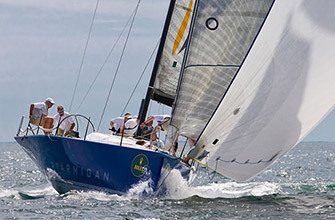 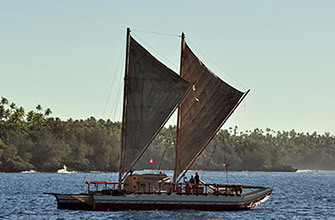 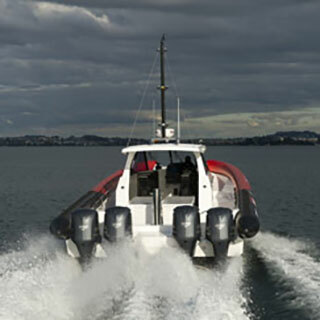 Powered by four 300hp V6 Yamaha outboards and achieving speeds well in excess of 50 knots, the fiberglass hull is topped with inflatable tubes while the internal structure is mainly E-glass with carbon fibre reinforcement. 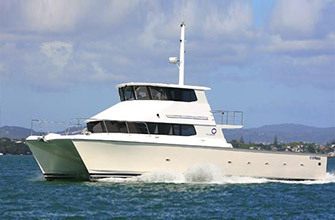 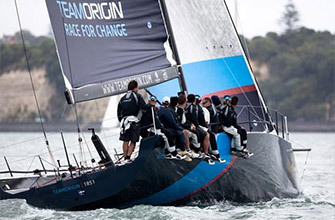 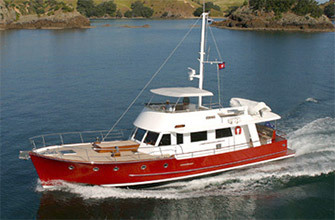 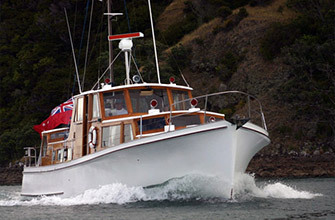 Accommodation on the ETNZ boat was designed to include a protected main deck cabin, head and large storage area under the foredeck. 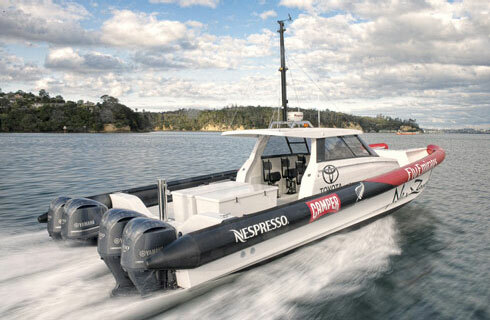 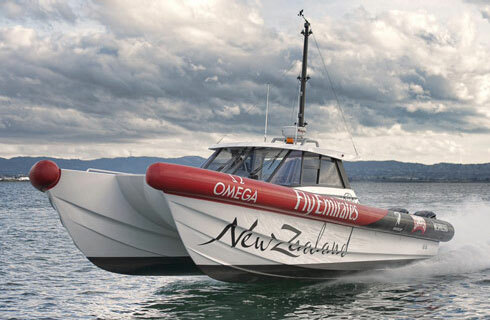 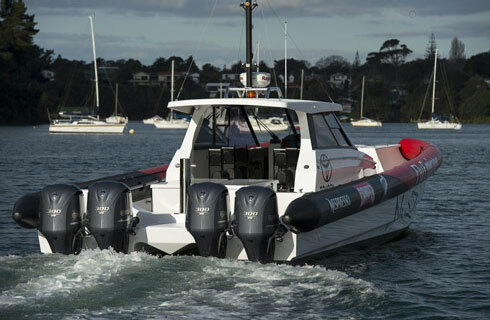 While the ETNZ tender needed the speed and towing power of the four Yamaha outboards, others have chosen two 350hp V8 outboards as a suitable alternative. 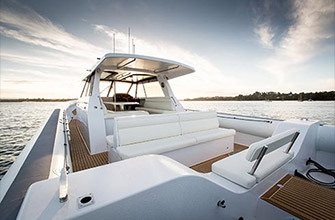 The choice to customize the interior as well as the boat's clean lines, handling capabilities, fuel economy and serious speed, are all factors in the popularity of this new design.